As President of WiSys, Don Beer is responsible for the daily global operations of the company. He works side by side with Development, Finance, Marketing, Professional Services, Product Management and QA teams. He also devotes time to growing relationships with affiliates and customers. Don joined the WiSys team in 2010, bringing more than 20 years of technical, consulting, operations and executive management experience to his role. Don began his career at WiSys as a consultant. Don was promoted to Support Manger in 2012, and then promoted to Director of Consulting and Support in 2016. 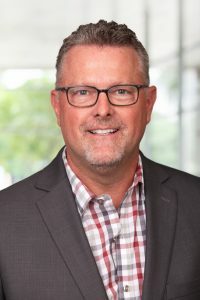 His experience in all aspects of the company led to his promotion to President in December of 2018. Prior to joining WiSys, Don held a number of senior management positions throughout his career. He served as the Director of IT for two publishing companies, and as the Vice President of Operations for a stationery company. He earned his Bachelor of Science degree in Computer Information Systems and then spent the next six years as a software developer and consultant for a software company very similar to WiSys. Don resides in Ohio with his wife. Together, they enjoy the outdoors, traveling in their RV and spending time with their children and grandchildren. Don is an avid sports fan and enjoys a good round of golf.